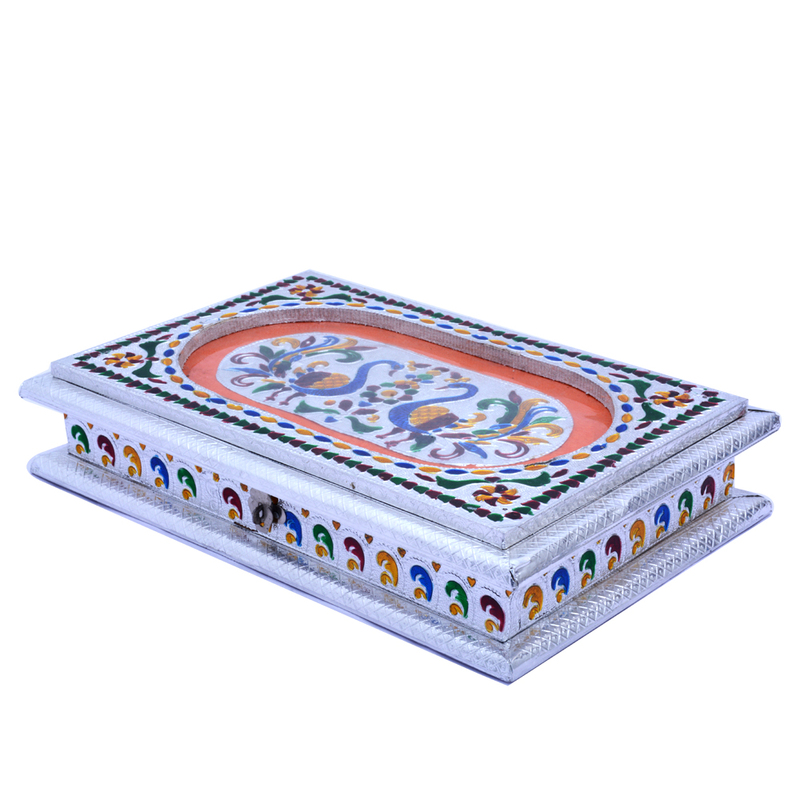 This elegant square shaped gift box made of wooden base and covered with a oxidised metal cover engraved with meenakari is a work of meticulous Read More..craftsmanship. 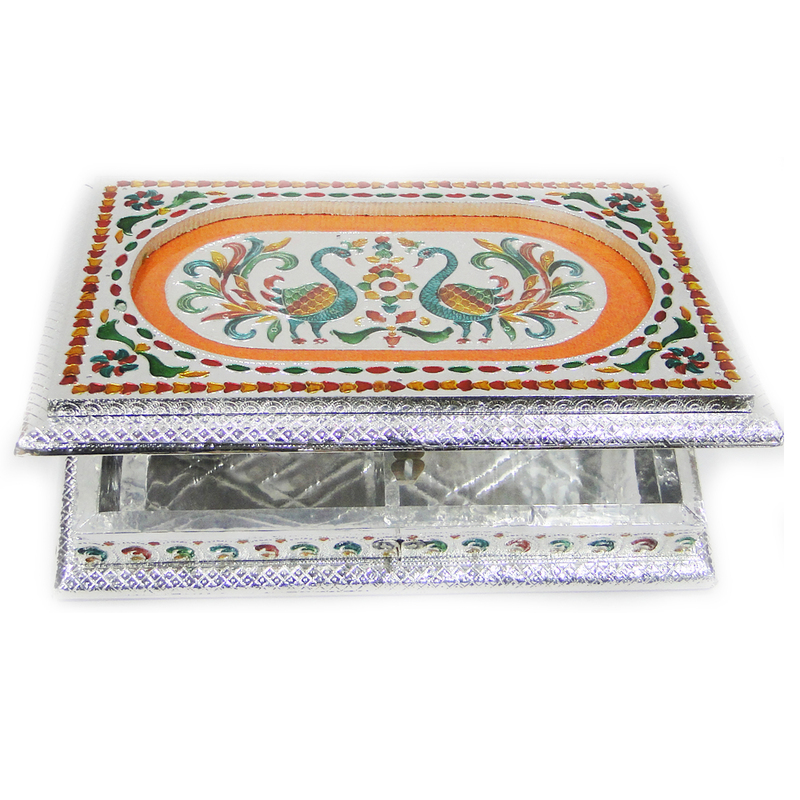 The box has slots for keeping dry fruits and other delicacies. This unique blend of craft and art can be a perfect memento of you love and care towards your near and dear ones on special occassions like diwali. The meena work on the cover adds to the attraction of the box. Show Less..